Please accept Pandharpur humble obeisances. All glories to Srila Prabhupada. 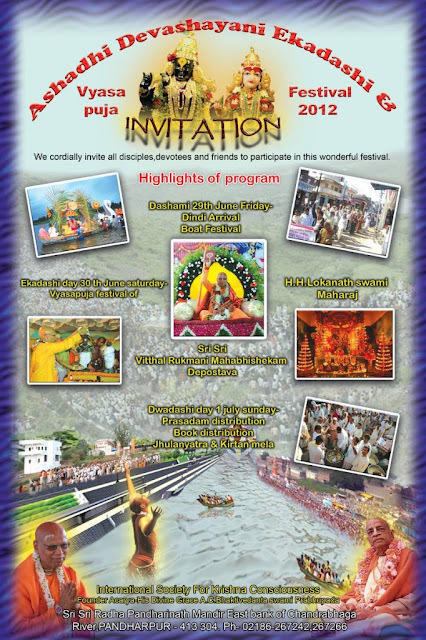 They cordially invite all disciples,devotees and friends to participate in this wonderful 63rd vyasapuja festival of there beloved Gurumaharaj at Sri Pandharpur Dham.